On arrival in Singapore, we will take you to a Night Safari tour. The world`s first Night Safari, set in 40 hectares of secondary jungle, will Unfold the mystery and drama of the tropical jungle after dusk with stunning Effect. See a myriad of nocturnal animals, from fierce predators to timid Forest dwellers, in their natural habitat under subtle moon glow lighting. Roam the jungle in the complete safety and comfort of your TRAM which takes you through the East and West Loop, passing by a large reservoir and weaving through selected habitats designed specifically to replicate the natural Environment from the Himalayan Foothills to the Southeast Asian Rainforest and Indian Subcontinent. Back and overnight at hotel. After breakfast at hotel and day is free for leisure, after lunch proceed for cruise terminal to take a 3 nights cruise from Singapore ferry terminal. Check into cruise and day is free for leisure. Overnight stay at cruise. Enjoy Star Cruise. Overnight stay at Cruise. 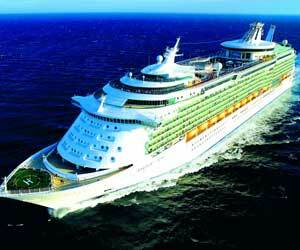 Check out from cruise at 1900 hrs and take a transfer to your hotel. Overnight stay at hotel. After breakfast, we shall proceed for a half day City tour. Explore the city by driving past the Civic District, passing by Padang, the Cricket Club, the historic Parliament House, the Supreme Court and City Hall. Next stop at the Merlion Park and enjoy the impressive views of Marina Bay. Do not miss out on this great photo opportunity with the Merlion, a Mythological creature that is part lion and part fish. After Lunch Proceed for your tour To Sentosa, which includes visits to . Enjoy Songs of the Sea, Singapore`s multi-sensory extravaganza. The world-class water show Features dramatic effects, water jets, lasers, burst of fire and Foot-tapping music in an underwater setting, transporting you to an Enchanted world where mystical sea creatures, a dashing young hero, Beautiful princess and all things magical come to life. Back and overnight at hotel. Breakfast at hotel, check out of the Hotel. You can deposit your luggage on the reception and proceed for last minute shopping till late afternoon when we would transfer you to the airport to board your flight back home.